The saga of Cycle World’s future existence continued today on news of the venerable publication’s sale to Field & Stream publisher Bonnier AB, a family held privately owned media group headquartered in Stockholm, Sweden. Self-described as, “… a culturally progressive, humanistic organization (with) knowledge-sharing goals,” the European publisher is also involved in book publishing, broadcast, digital, cinema, cultural events and educational efforts. Many of the company’s best known titles were acquired as part of the Time print selloff in 2007. 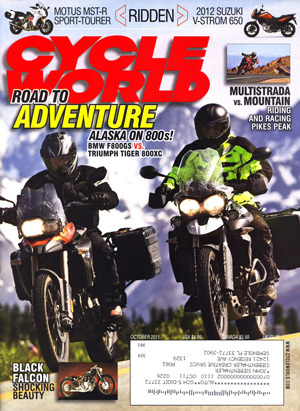 News of Cycle World’s (re)sale was predicted before the ink was dry on the June, 2011 sale by HFM to Hearst. Shortly after the transfer, rumors began circulating that the familiar CW brand was for sale by owner, no reasonable offer refused. Bonnier’s titles also include Popular Science and Parenting. In a statement announcing the sale, Cycle World is slotted for Bonnier’s special interest Outdoor channel. The amount of the sale was not disclosed. Bonnier’s portfolio of titles is impressive, and includes such special interest lifestyle nameplates as Saveur, the Transworld active collection, Motorboating and Yachtbroker. 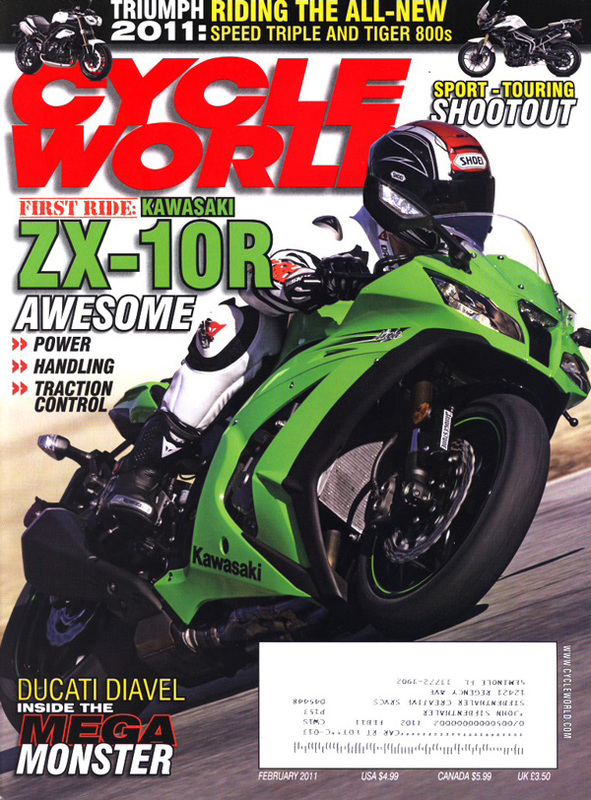 Given the production quality and editorial value of their offerings, Cycle World seems likely to maintain their leadership in print while enjoying a much needed web makeover that could be transformational. This entry was posted in marketplace news, powersports, public relations and tagged Bonnier, cycle world, hearst, magazine, media on September 30, 2011 by John Siebenthaler. Tuesday’s official announcement from Hearst Corporation finalizing the sale of Lagardère Group (Hachette) media assets – nearly 100 titles, plus 50 websites – didn’t contain any surprises. As managment teams passed in the hallways, our main interest was focused on whether or not any changes for Cycle World were in the offing, as corporate control shifted from Paris to New York. With the sale officially complete, Hearst’s total domestic circulation now exceeds 30,000,000. Elle, Car and Driver, and Road and Track were the titles most frequently mentioned in releases from both camps. Changes in store? In addition to plans to move the titles to the glam Hearst Tower “…within six to nine months,” Hearst yesterday got out the ax in announcing the first staff cuts following the $900-million plus takeover. In round one, nearly 20 percent of the former HFM personnel have been let go, including most of Steve Goldner’s social media staff, according to an article in today’s NY Post. Whether the latter was a vote of no confidence in adminstration, message or perceived value of the social media channel isn’t yet clear. HFM had always played catch up in developing their digital assets. For now we’ll assume the goal is to reboot. This entry was posted in public relations and tagged cycle world, hachette, hearst, magazine on June 2, 2011 by John Siebenthaler. PARIS Lagardère SCA today announced a €651M binding offer by Hearst Corporation for the sale of it’s international publishing empire (102 titles in 15 countries), including the industry leader Cycle World brand, part of the HFMUS portfolio of titles. Lagardère would retain control, however, of it’s iconic ELLE trademark, which it will continue to license for various markets including mobile, print and product, and thus benefit from future royalties. According to the press release, the parties have until Q3 2011 to complete the sale. This entry was posted in marketplace news, powersports and tagged cycle world, hearst, magazine, powersports, publishing on January 31, 2011 by John Siebenthaler.